Growing at more than 25 percent per year, e-commerce gives consumers a lot of what they want. This Includes a broad assortment of products, the ability to comparison shop, gather product data, and the convenience to shop anytime from anywhere. To successfully compete with the traditional bricks and mortar companies, all e-commerce has to do is offer the same products, ensure order accuracy, allow for consumers that might want instant gratification with overnight shipping, and be somewhat competitive price wise. These characteristics of Internet retailing are driving the e-commerce supply chain to be as flexible, fast and low-cost as the Internet itself -- but traditional retailers may find the transition to the online world difficult. Here then, are some basic concepts that may help with the shift from bricks and mortar to e-commerce. Is your product right for selling online? Not all products make for good e-commerce sales. Do you really want to try to ship a head of lettuce? Common sense and a small bit of research go a long way into helping with this decision. If you are going to sell inexpensive goods that can easily be bought in a next-door supermarket - you might want to reconsider. But: if you find an industry with little competition, you might have a winner. Poor Web site design is a killer. In e-commerce more than anywhere else. The moment a user arrives at your site, they will begin making assumptions about you and all aspects of your business. Are you trustworthy, Can they buy easily? Is your site too confusing? If your Web site looks like it was done by your nephew (no offense to your nephew), how likely is a consumer to buy something? With something as simple as a click to the back button, someone can be gone in an instant, back to the search engine that brought them to your site in the first place. Remember, first impressions count. Make your checkout usable. Have you heard of 'user-friendliness'? This is the right place and right time to prove you know what it is. Don't force people to register in order to place a simple transaction. Make sure the checkout process is simple, easy to understand, and only request the necessary information needed for the transaction. 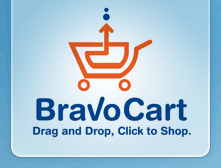 Do you know how many people have abandoned your cart? Fulfill your orders and keep your customers informed. Do you know that one negative feedback spreads faster than ten positive ones? Thus, before you start selling online, ensure you have a trusted delivery service which is able to fulfill your customers' orders in a timely fashion. Customer service. Satisfied customers will do more for the growth of your company than any other factor. They come back and buy more. They spread the word and tell others. MAMAKE the time to respond to your customers and offer them surveys and feedback forms. Get creative and offer incentives that force interaction. They will appreciate it, and so will you. Content is king, again! How long has it been since you've updated your blog? News items, new information, and new offers are critical to the long term success of the site. And while you're at it, it's time to make sure your product offerings are as current as your site information. Test, test, and re-test! I cannot stress this point enough. Orders that get lost, broken links, time-outs, typos in your descriptions, and many other simple things that might go wrong can cause a potential buyer to lose confidence, leave your site, and never come back. Once your site is on line and available, have friends and family jump on and try to buy something. You'd be amazed at what you might discover with a fresh set of eyes. Don't forget to market your site! BEFORE your site is ready and your warehouse is stuffed with product, you need to get your marketing gears in sync. Choosing a web developer who has an in depth knowledge about e-commerce can be a huge benefit because they can help you through the process. A good developer is one who understands your business model, not just someone who can build a pretty site. Research. Ummm...what are your competitors doing out there anyway? I strongly encourage you to find out what is being done around the virtual block by spending some time (and yes, actually ordering some product) on your competitors Web site. Don't just look for what they might be doing better than you, take some time to see what they are doing poorly.